Great tribute to the Thief games of old, adding great graphics and amazing stealth game play to an already amazing series. Smooth movement and intelligent A.I make the game challenging, as it should be. Falling to your death because of the game not recognizing that you are trying to jump to a rope or across a gap was frustrating, as well as having to stock up on supplies every time you leave, or face almost certain death, as your characters combat skills are...nil. If you are expecting Assassins Creed or Dishonored-style game play where you can dispatch enemies like Master Chief shooting grunts with a chain gun, you are in for a miserable experience. Aside from that, Thief is an amazing game. Buy it while it's hot before people spoil the story for you. It's as dark and deep as The Master Thief himself. Oh, and don't forget to put your thinking cap on. 10 years later. Garrett, the Master Thief, returns. It’s been 10 years since the last release of a Thief game (2004; Thief: Deadly Shadows), and I have to say that the wait has been as worthwhile as the StarCraft 2 release (meaning I’m glad to have waited). 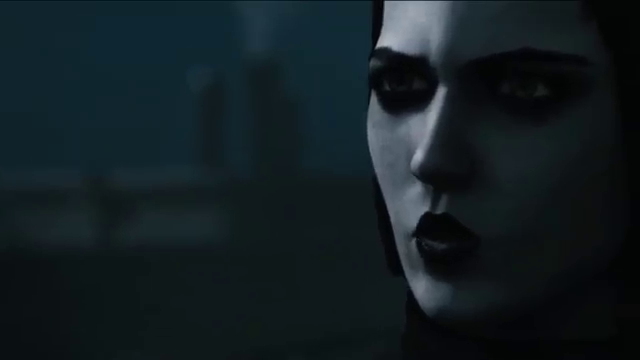 I have to address something first and foremost however, If you are buying or renting this game hoping for an Assassins Creed style of game-play where stealth is optional and the main character can throw enemies around as if it were as easy as hitting a button (oh wait), then you are in for a miserable experience. The Thief series has always been about one thing, stealth. Using the shadows as an extension of your own skin, sweeping past guards and enemies with a foot of space in between you, knowing that if they spot you you’re done for. If you can’t be patient, if you can’t sit still and watch your surroundings, you will die. It’s as simple as that. Now that I’ve gotten that disclaimer out of the way, on to the awesomeness that is THIEF! The main plot is as dark as the master thief himself, tugging you left and right and twisting in every direction. Mainly it involves you stealing shiny things (who would have figured), but sometimes it puts you in situations where you actually want to shed a tear…or stop playing all together. After playing Thief: Deadly Shadows in 2004, I eagerly awaited another title to be released, as Garrett had just taken an apprentice. ThiefÂ did not let me down. Although it is technically a revamp of the world that Garrett resides in, and the apprentice thief’s (hereby called Erin…that’s her name) back story is shrouded in tragedy, I came to enjoy what they had done with their relationship, heart wrenching as it is. Unfortunately I don’t want to give you any spoilers…I enjoy peoples faces when I do that – not the beatings, however. The plot of Thief would in no way win an Oscar, but it does keep you on your toes. Aside from being distracted by other peoples possessions and side quests, I found the story to be full of adrenaline and intrigue (yay politics!) Thief kept me at the edge of my seat, while letting me stray to other activities (more stealing) if I grew tired of the grind. All together a worth while experience, and the next game plot hook? It had me clawing for more. Does this eye shadow make me look sneakier? It may have been the headphones I was wearing, but I could actually tell which direction guards were, and how close. Directional sound was highly useful in navigating “The City” in Thief. The crunch of broken glass, the squeak of old wood, and the matted flapping of paper beneath my feet would alert enemies to my presence. Being able to hear it immediately helped, even better when I knew what direction it was coming from. “Walk the other way”. Caged animals will be alerted to your presence, sometimes you don’t know they are there, and you will hear a small flap, growl, or whine and all of a sudden you are searching frantically for the imprisoned alarm system with teeth. Careful not to look too fast however, as turning the camera also moves Garrett, causing noise. Being able to monitor how much noise you are making greatly assists in the stealth mechanics and feel of the game. Considering you don’t have a sound meter like in games such as Splinter Cell. Graphics wise I’m glad it isn’t the old Thief routine, by that I mean drawings that have slight movement and a voice over. It was nice to see Garrett actually move of his own accord, but that’s only cut scenes, In general the graphics are up to par with what I expected, really good. In no means are they hyper realistic, and by no means can you pick out the characters’ individual pores, But it was nice to have a Thief game where I could stare at a brick wall and see detail and not a stamped on picture of a brick. Graphics could have been better of course – they were by no means ground breaking, but it was nice to see an effort made to keep things dark, gloomy, and still fantasy-like in terms of character detail and environment. I have to admit, I was a bit let down about the focus ability becoming a sort of niche in gaming, what with Batman making it ever so popular to be a one click focus detective, but it worked really well, believe it or not (You can turn focus off if you really want to by the way). Being able to get yourself out of a tight spot by finding a sewer grate, or finding a collectable behind a painting, when you otherwise wouldn’t have checked, gave me the MWAHAHAHA…SHINY — jollies. Sliding down rooftops, vaulting fences and scaling walls was and is still very fun, especially if you get running and seem to fly over these obstacles. It loses some of it’s appeal when you are being chased however, because all you are thinking is “one hit and I’m pretty much dead, oh god oh god oh god!”. Movement was solid except for a few instances of falling to my death when jumping for a rope or across an expanse. Irritating, but then I realized that it was actually my error, as I was pushing forward and space when all I had to do was push space…durr. Swooping, no it isn’t a new booty shaking routine, it’s how Garrett glides from shadow to shadow, through beams of light without being as obvious as a slow moving sneaker who’s been cut off by a room full of candles. It also helps to close the gap between you and a guard with a blackjack habit. Swooping felt very fluid, and you could control where you went during the movement, gliding around obstacles like shattered glass (which makes a lot of noise when quickly moved across. who knew), bottles, paper, or a mass of weapons stacked up against the wall. Loved it, made me feel like the master thief. Aside from being dextrous and darkly charming, I found a segment of the game that stopped me from wanting to play. 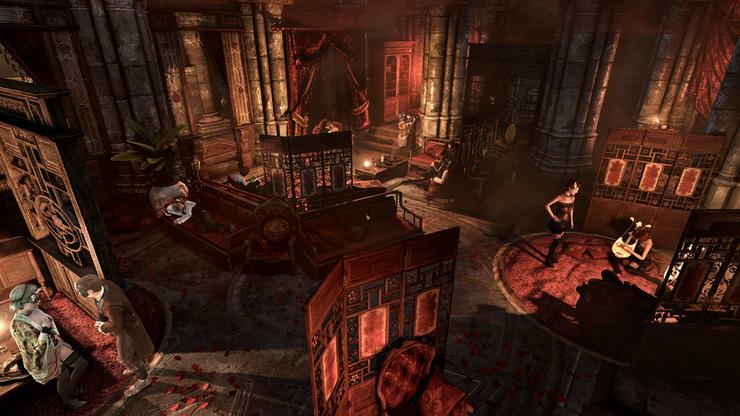 Thief always seems to have at least one horror mission, this one had…a few. I didn’t want to return to the game because it reminded me too much of Doctor who’s weeping angels. Nightmares, whew. Alas, for the good of SpawnFirst I returned to the game and got through the levels – Sweating the whole way. I won’t ruin the plot of it, but wow was I afraid to turn the camera. I had heard that the A.I was dumbed down a bit, and I’m glad, because WOW they are smart sometimes. BAM caught me after I threw a distraction, or BAM found exactly where I was hiding without seeing me go into the hiding spot. After a few of these moments I adapted my play style and barely got caught at all. Seriously though, if you don’t think like a thief, the A.I will roll all over you. After beating the main story, I found plenty to do around the city, meaning that there’s plenty more to do after the actual main plot. I walked around and stole eight legged cats, peoples beloved ornaments, and talking skulls. Very enjoyable open world thievery. If you are bored, pop on and rob someone blind. There’s plenty to do. Lot’s of money to be found in a brothel, who knew? It’s nice to see little extras like various collectables, various upgrades and focus abilities that you can spend stolen coin on to improve, and even little side jokes that I won’t mention now as to not spoil them for you. The thing that I enjoyed almost the most in my first few moments of this game, was that they didn’t make Garrett a pretty boy revamp of the old Garrett, they kept him good and ugly, like he should be. Garrett isn’t someone who relies on a first impression, and he’s always been scarred, so thank you for not making him a poster boy for teenage girl thieves everywhere. If you feel like competing with friends and comparing your thief – ish – ness, you can. There are challenge maps available so that you can attempt a fast stealth run, or horde masses of wealth from one cautious, deliberate, and solid run through. Seems to be the only “multiplayer” facet of this game though. No stabbing other players, no joining games, just solo thief play with the choice to compare results. Of course I’m sure that bringing multiplayer without a decent combat system would be a very, very challenging mistake. I enjoyed Thief thoroughly, playing 18 hours of it the day it released (straight, I know, I have a problem). I would recommend an immediate buy for anyone who enjoys stealth game play, or anyone who enjoyed the previous titles. You will not be displeased, unless you don’t like horror, you may be turned off by not wanting to turn a corner out of terror. TL;DR: Don’t steal this game, Buy it because it’s bloody brilliant. I’ve never had so much fun taking my time in my life. Stealing from people is always fun too. Now, back to “what’s yours is mine”.